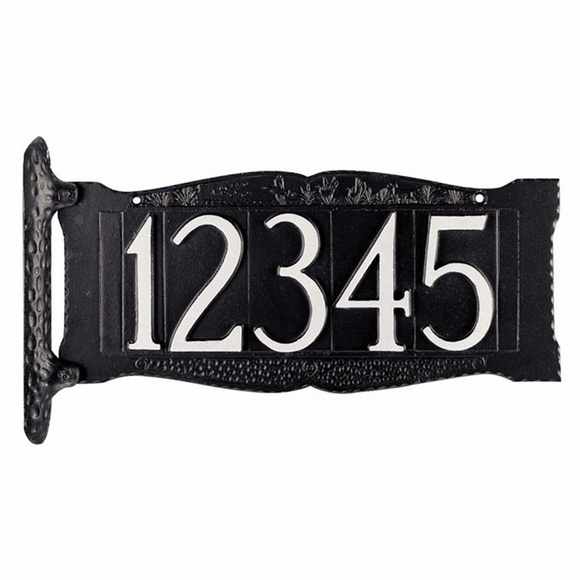 Post Mount 4" Number Address Sign - - one line house number sign holds up to five large 4" numbers. Made in USA. Two sided address sign can be seen from both sides of the road. Same house number is displayed on front and back. Designed for nailing to your own post or tree.